As terrorism rises worldwide, Israelis advised to be on alert during Spring holidays - and not to visit several countries at all. 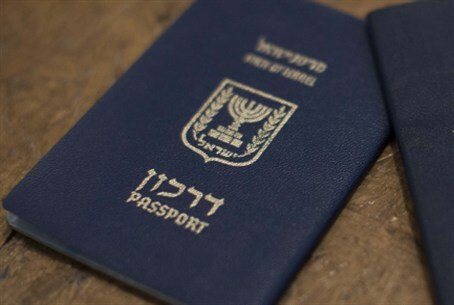 The Prime Minister's Office (PMO) has released a travel advisory for all Israelis on Sunday, ahead of the spring holiday season - when many Israelis will likely be going abroad. "The Spring holidays are nearly upon us, and the days of Pesach [Passover - ed.] (April 3-11), Lag Ba'Omer (May 7), Yom Ha'atzmaut (May 23), and Shavuot (June 23-25) are a prime time for terrorists to commit terror attacks against Israelis and Jews abroad," the PMO stated. Out of 193 countries, it noted, a total of 41 have travel advisories - including 6 countries Israelis are forbidden to travel to by law, 8 with severe warnings due to terrorist activity, and 27 general travel advisories. Canada, Belgium, Denmark, France, and Australia have all experienced major terror attacks over the past year, particularly from homegrown Islamists who claim to be associated with Islamic State of Iraq and Syria (ISIS). Several of these countries also are experiencing an influx of terrorists returning from Iraq and Syria and may be inspired to bring their terror knowledge home with them. In Africa, terror organizations have specifically targeted Israeli government offices and businesses. Specific warnings apply to Kenya, Nigeria, Tunisia, and Maghreb, due to the growing influence of Al-Shabaab, Boko Haram, and Al-Qaeda, respectively, but travel advisories apply to every African country. It is illegal for Israelis to enter any country defined as enemy territory, including Iran, Syria, Iraq (including Kurdistan), Saudi Arabia, Yemen, and Lebanon. Likewise, the PMO warns Israelis against approaching any border areas with the enemy countries, as terror activity has been rampant throughout most or all of them and the abduction threat is high. Due to ISIS-related activity in the Sinai desert - which is technically under Egyptian jurisdiction but still remains a popular Israeli tourist destination - Israelis are recommended to avoid the area until the situation calms. Iran, via Hezbollah, continues to target Jewish and Israeli buildings and institutions around the world, particularly religious places - graves or homes of famous Rabbis and community leaders, and Chabad-Lubavitch houses. Basic travel advisories to Turkey remain unchanged (despite the proliferation of terrorists traveling from Istanbul to Syria - ed. ), but Israelis are nonetheless advised not to visit unless absolutely necessary. and not to travel to Morocco and Oman if possible.